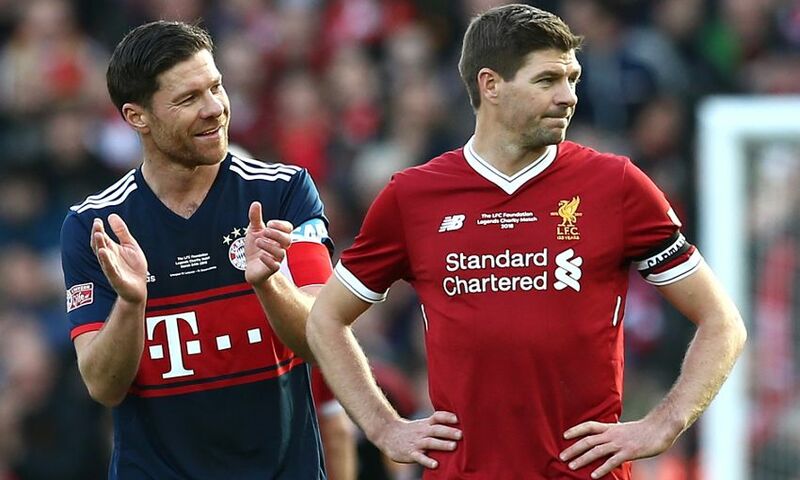 Steven Gerrard hailed a 'superb' occasion after Liverpool FC Legends played out a 5-5 thriller in the charity match with Bayern Munich at Anfield. The Reds icon joined forces with a host of former teammates, notably Xabi Alonso during the first half, for a game which raised funds for the LFC Foundation. Liverpool led by three, trailed 4-3 and 5-4 and levelled three minutes from time as Bjorn Tore Kvarme lashed into the top corner at the Kop end. Gerrard subsequently had a shot pushed onto the woodwork and while the midfielder was left frustrated by being denied a winner, he celebrated another successful event overall. “Almost… but, as everyone in this stadium knows, almost is not good enough,” the No.8 told Liverpoolfc.com of that late chance. Dirk Kuyt, Michael Owen and Robbie Fowler (two) were the other players to net as the goals flowed in an eventful opening 45 minutes that featured eight strikes. All 21 members of the squad got minutes on the afternoon – and Gerrard insisted none of them would pass up a chance to be involved for their old club. “You can’t miss an opportunity like this,” he said. Alonso played one half for each side, partnering his close friend Gerrard in midfield before the break and later converting a free-kick in Bayern colours. “It was fantastic. I would never ever get tired of playing alongside Xabi Alonso,” added the current Liverpool U18s manager.